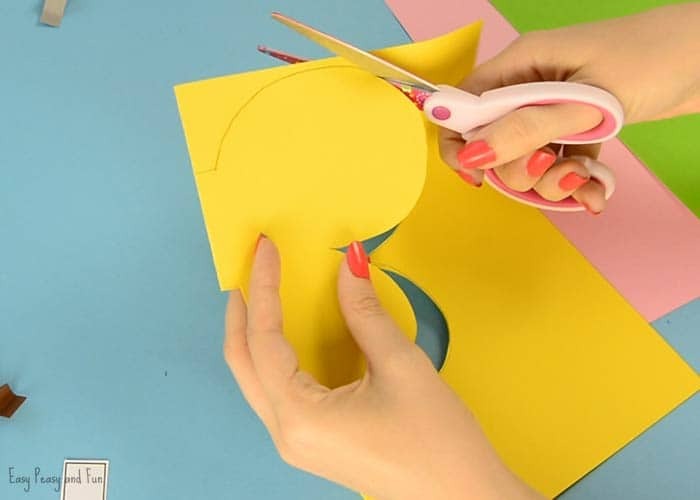 This lovely paper craft is super fun to make and to play with. 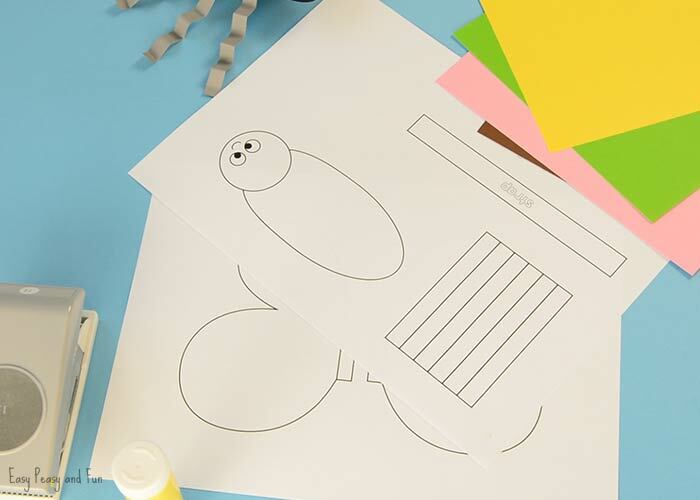 We even include a craft template your kids can use to make one – either color it in or use as a template. 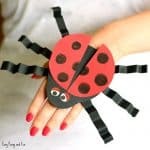 Although this one is not the first in the series we share on our website (have you seen this ladybug paper hand puppet yet?) when we we’re planning these bug friends the butterfly was the first one. There is just something about the flapping of the wings. 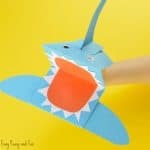 This one is my personal favorite from the series (although others are pretty cool too) as it’s wings flap magnificently as you move your butterfly puppet up and down in the air (I really, really love the sound the paper wings make). If your kids love to color in and give their creations their personal touch the template / stencil will be perfect for them to use. 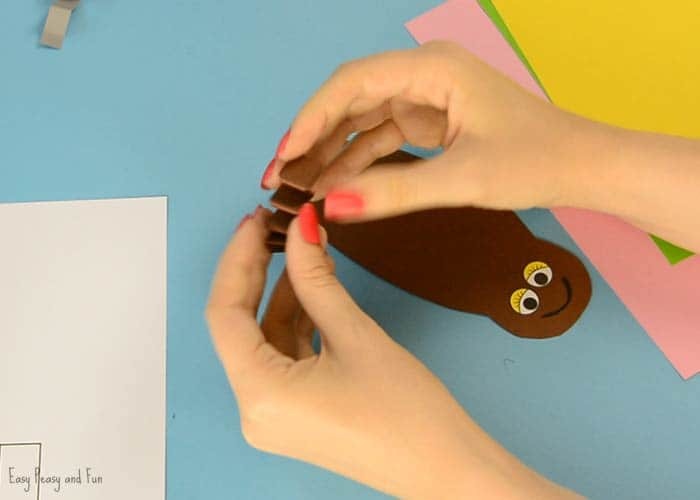 You can naturally make this craft project for kids without a template too. Ready? 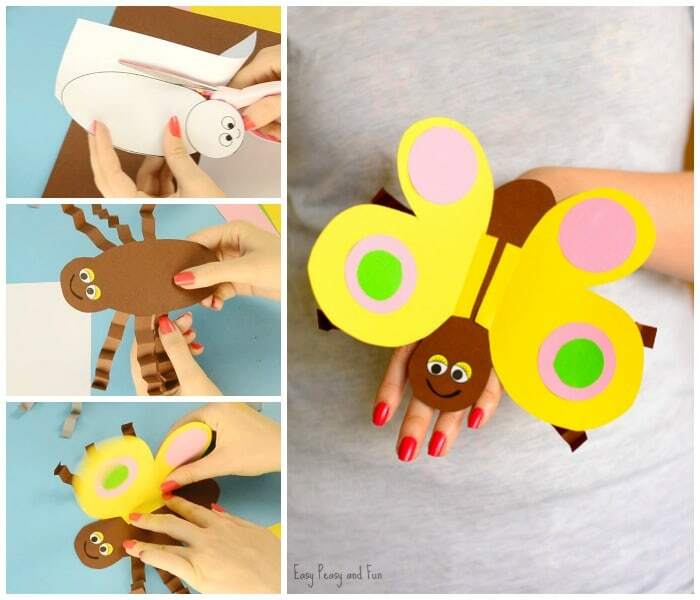 Let’s make a butterfly puppet! Print out our template. We have 3 sizes available to fit different hand sizes – from toddler to adult. 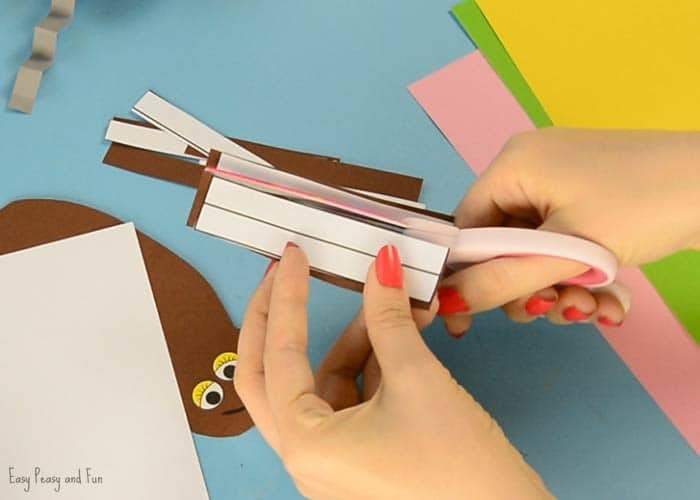 If you decide to color in this craft, we recommend you color the parts before you cut them out. Get creative! Some glitter never hurts (well glitter glue never hurts, we all know glitter can hurt, when you have to clean it up). 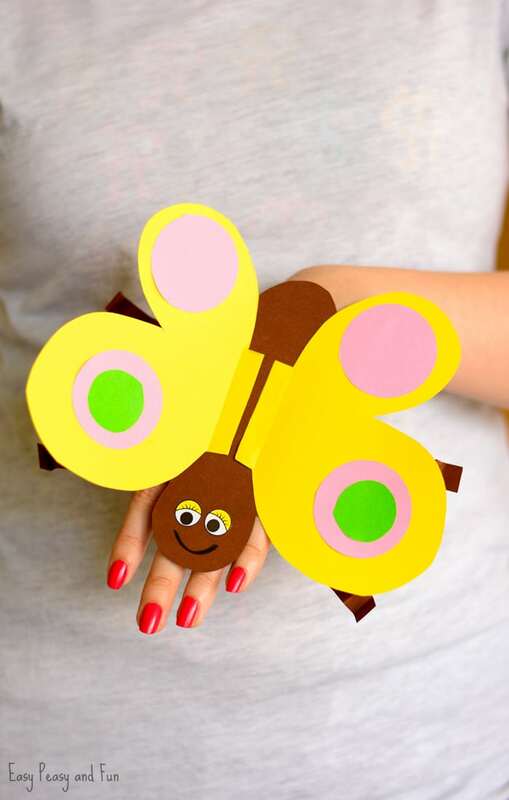 Trace the butterfly body on a sheet of brown construction paper (gray or black will do too, well any color really). Cut it out. 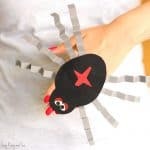 Decorate the head – we used wiggle eye stickers as we love working with those and have drawn the mouth with a black marker. Cut out the legs. 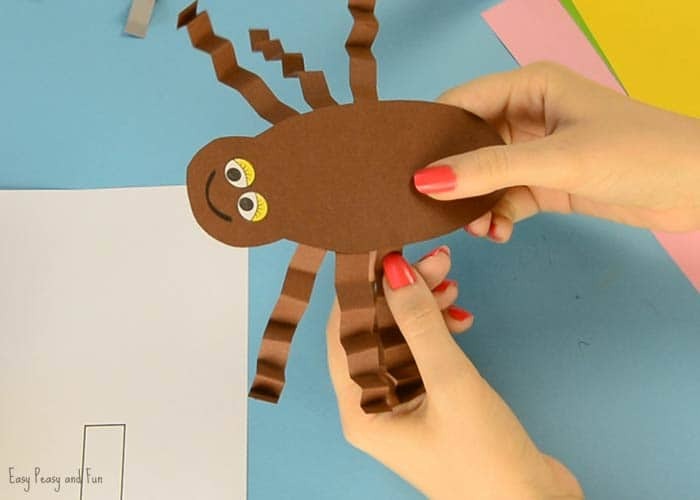 The easiest way to do it is to cut the rectangle with all the legs. Don’t cut the individual legs. 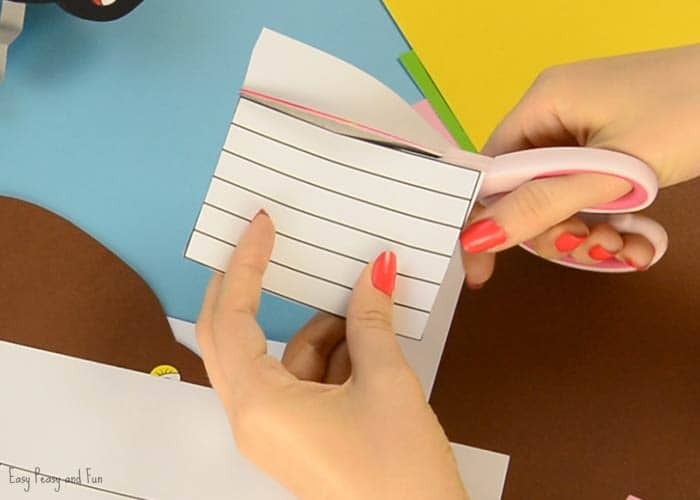 Trace the rectangle on the brown construction paper. Fold the legs into an accordion. Glue them on the body of the butterfly. Trace the wings on paper. Our wings will be yellow. Decorate wings however you see fit (the more colorful the more fun). 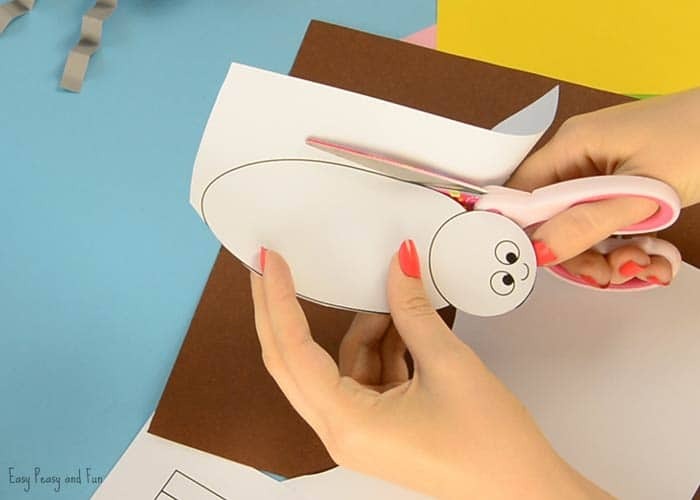 Glue the wings on the body (fold them at the base). 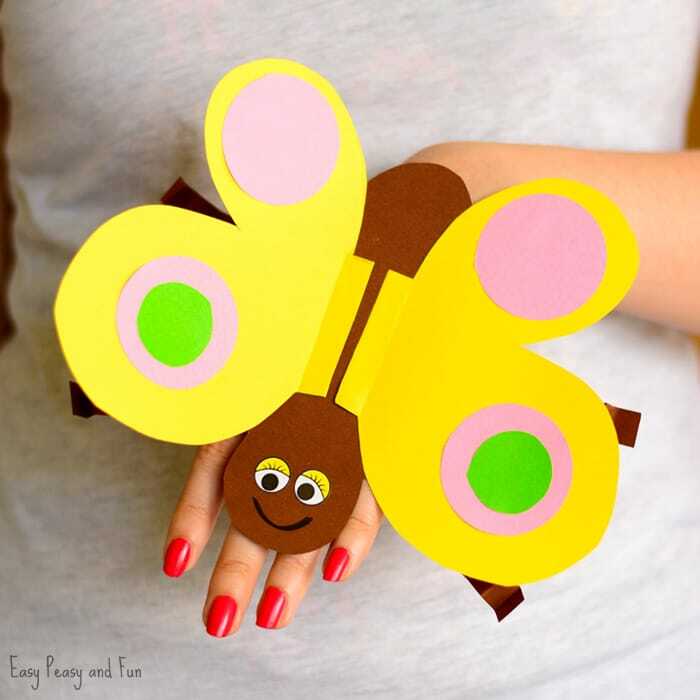 Cut the strap and glue it at the bottom of your butterfly hand puppet. All done and ready to fly away! 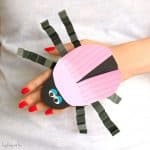 We hope you enjoyed creating this craft and that it will be super fun to play with.